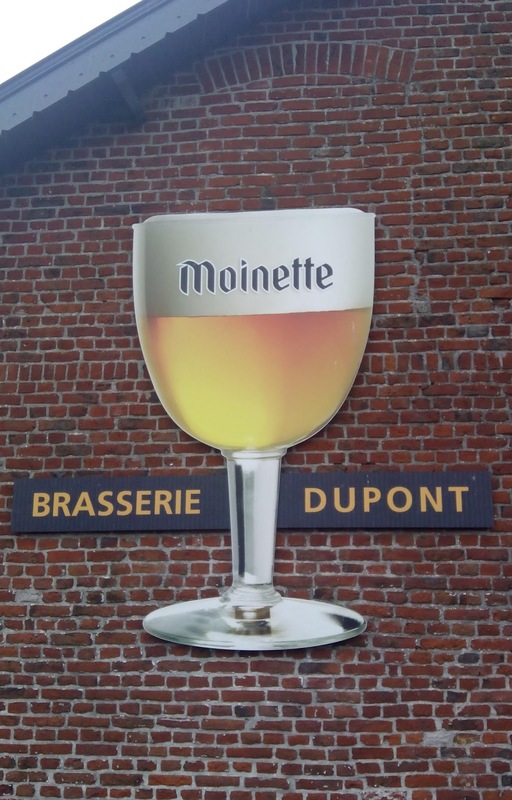 If all I'd attended while I was in Belgium was the first day of the European Beer Writers Conference, I might have imagined that there was not much alternative to the industrial beers of AB-InBev apart from the die-hard traditionalists of the Belgian Family Brewers association. Fortunately, talking to some of the brewers on the pre- and post-conference tours, and also at the beerex on the conference's second day, a different picture emerged. It also became clear just why the BFB members are so fiercely pro-heritage and against the likes of gypsy and contract brewers – they are the last two dozen proud survivors of a long tradition that once included hundreds of family breweries. As in every other European country, the others all closed down and/or sold out to the macrobrewers, most likely because a younger generation of the owning family preferred a new Porsche to some hard work. 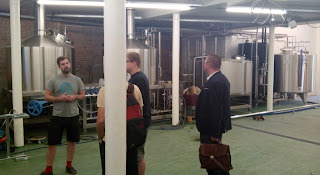 The tours introduced us to Lambic breweries, for instance. Some old enough to join the BFB with its 50-year age minimum, and others mere striplings in comparison yet already leaders in their art (more on these in a later post). Meanwhile, meeting newer brewers at the beerex gave another view of a vibrant and youthful brewing culture, as did visiting Beer Project Brussels to see its nearly-complete new 10hl brewkit. 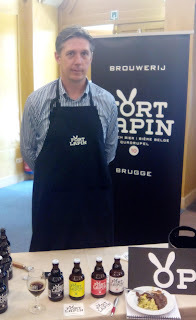 One of those at the beerex was Fort Lapin, a new yet traditionally focused brewery from Bruges/Brugge. 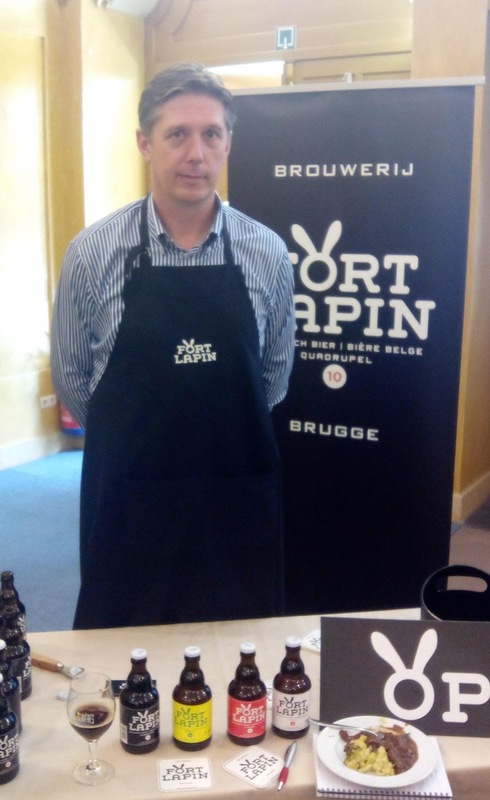 As an aside, visitors tend to think of Bruges as a beer city, yet Fort Lapin is now one of just two commercial breweries operating there, the other being De Halve Maan (The Half Moon). That's the scale of how much brewing Belgium has lost over the decades. Being only four years old or thereabouts, Fort Lapin is definitely not eligible to join BFB. Formerly a keen home-brewer, owner Kristof Vandenbussche is a heating engineer by trade, and he was able to use his technical skills to build most of the brewkit himself, using old dairy tanks and even doing his own welding. As a result, he estimates that the 10hl brewery cost him perhaps €100,000 over the years, the biggest expense being the bottling line. That might look a lot, but is less than 20% of what the Brussels Beer Project has invested in its all-new brewery and bottling line. Another aside: one of the problems Belgian brewers face is that, perhaps driven by price competition among the macrobrewers, people expect beer to be cheap. As a result, Kristof noted that he earned more last year from the 4000 people who paid to visit his brewery than he did from selling beer. He brews seasonals and specials, plus three standards of Belgian brewing as his regulars: Dubbel, Tripel and Quadrupel, all of them spiced and the Dubbel being amber from hibiscus flowers, rather than the more usual brown. Beer Project Brussels is quite a different kettle of wort. Its beers are much more in the modern fusion vein, so for example there's one that crosses a Tripel with a Bavarian-style Hefeweizen, a Belgian IPA brewed with bread Sumerian-style, and a Belgian twist on Black IPA. The beer recipes were crowd-sourced via social networking, with founders Olivier de Brauwere and Sébastien Morvan contract-brewing at Brouwerij Anders in Limburg. 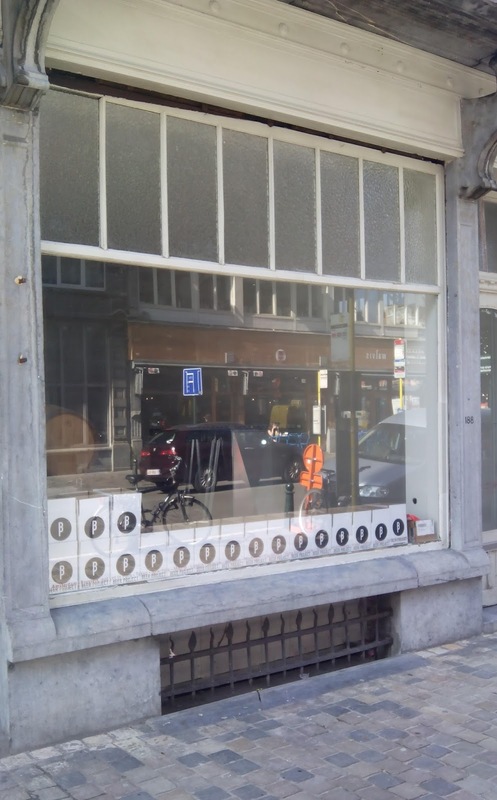 The result is something like a Tardis – when I visited BPB's address at the scruffier end of Antoine Dansaert Straat last week I found a dusty unassuming shopfront. Behind this, they were at work building a small shop and tasting room, but walk deeper in and the whole place opens up into a big 500 square metre workspace, lined with bare brick walls and fitted with a shiny new Braukon 10hl brewkit. Since I visited, photos on Facebook show that the first 10hl fermenters have arrived, as has a bottling line capable of filling 1500 bottles an hour. So far, so micro. But as I mentioned, this is only intended as a pilot brewery – the most successful of the new recipes will go to Brouwerij Anders for full-scale brewing. The two strands of non-macro Belgian brewing could almost exist in different worlds. In one of the sessions, a Family Brewers speaker mentioned that on average it took their members 1.2 years to introduce a new beer – that's 14 months, though I think several of them are rather faster now! By comparison, the Beer Project plans to create (they prefer the term co-create, as they'll use input from social networks) 20 new beers each year. The consequence? The BFB speaker added that “family brewers really think things through and think of the next generation.” In contrast, the younger breweries are happy to do short-run specials and one-offs – you could argue that they prioritise the drinkers, on the basis that if they're happy the company will do well. It's an old, old chasm, and one which both sides will need to bridge. Not quite sure why the chasm has to be bridged. If older brewers can make it work brewing the same beers, and others make a profit by doing lots of one-offs and specials, what's the problem? The problem seems to be they're not making it work, or at least, they're all struggling to make it work within a saturated market -- and one where the bulk of consumption is cheap and generic yellow lager. So they either need to export more or innovate to win back drinkers from supermarket Pils. And once they've won them, they have to keep them. I'd suggest the old breweries do OK at the latter and the new at the former.